Extracts from researched material presented below in chronological order. The Excise were responsible for collecting duties on imports and exports and preventing evasion. 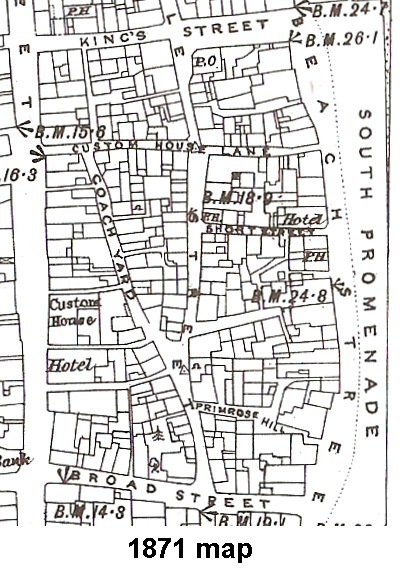 There was a Custom House on 'Lower Street' and 'Custom House Lane' in the viscinity of Middle Street Carpark. Yesterday morning Mess. Robins and Mortimer officers of excise, seized upwards of 1500 gallons of the best over-proof cognac brandy, in an unfinished house at the North end of the town, the whole of which, it is supposed, belonged to two persons only.